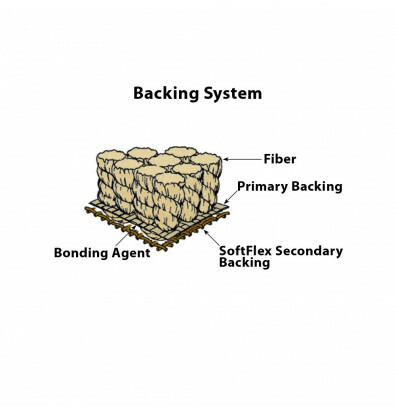 Joy Carpets Bible Phonics rectangle classroom rug offers a durable Stainmaster nylon fiber construction. Features the alphabet and Bible themed images. Available in various sizes. 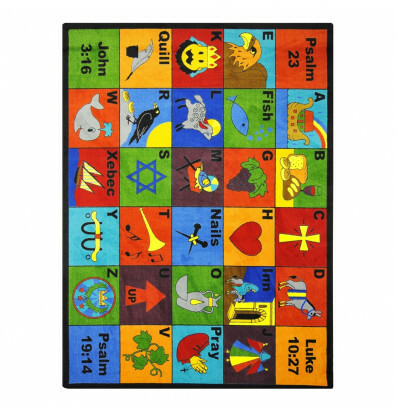 Joy Carpets Bible Phonics 1601 rectangle classroom rug offers a fade resistant dye featuring a colorful chart of the letters of the alphabet with phonetic images like "A" for ark and "B" for bread. As children identify the images, teachers can relate the corresponding Bible story. Available in various sizes.